Brands are choosing to invest more in experiential than they have in previous years. More than two-thirds (67 percent) of B-to-B brand-side marketers are anticipating an increase in experiential budgets within the next year and a half, a 17 percent boost from 2018, according to new research. 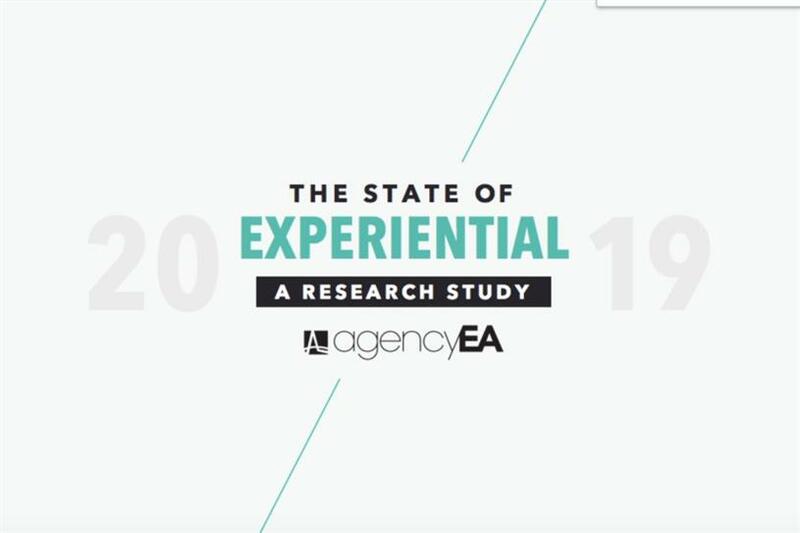 The second annual State of Experiential Study, conducted by AgencyEA, analyzed responses from 713 professionals across brands, agencies and vendors, with a stronger emphasis on the B-to-B side of experiential marketing. From the data, which was compiled online and by phone, AgencyEA found that 92 percent of brand-side respondents believe that integrating events and experiences into overall sales and marketing is imperative to success - even though it’s still tricky to prove ROI. On the B-to-B side, brand marketers expect a 24 percent growth in experiential budgets in the next 18 months. Three out of four respondents agree that experiential has proven to be the most successful tactic of their brand’s various marketing strategies, up 14 percent from 2018. The number one piece of advice that Claire Holland, VP of marketing communications at AgencyEA, has for brands looking to get into the experiential spaces is to "know your audience." "We see brands get into experiential because they think it’s the latest trend or fad and they try to replicate tactics that other brands have done, but that may not be the right message," she said. "It’s about figuring out what’s right and what will make them tick and leave a lasting impression." Becca Lyon, AgencyEA’s senior manager of marketing strategy, said that experiential helps brands connect with target audiences in new ways, especially brands that are having some struggles with their traditional marketing channels. She added that she believes that experiential helps cut through the noise and clutter of traditional marketing, which explains the budget increase. "The human-to-human channel and live experiences are starting to build even more traction and we’re going to see it only increase from here," said Lyon. The study revealed that brands also don’t expect audiences to only come to them for experiences, which is why they’re increasingly delivering events on digital and social platforms. In fact, 60 percent of respondents believe that reaching their target audience via livestream or online is critical to an event’s success. Additionally, almost all respondents on the B-to-B brand marketer side (91 percent) say that their own brands value providing those human connections to their events in a digital world.